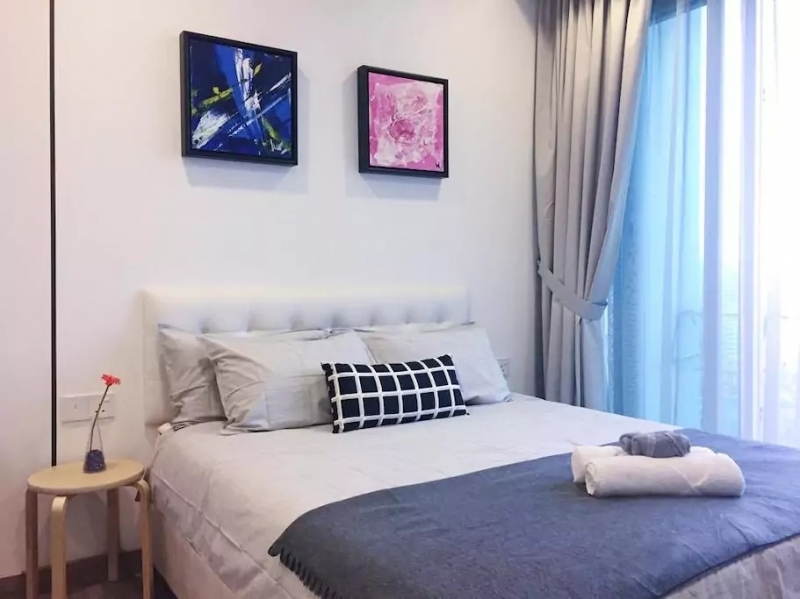 Take your pick of these highly rated and budget-friendly Airbnb apartments which are mostly located within the KLCC or Bukit Bintang area. 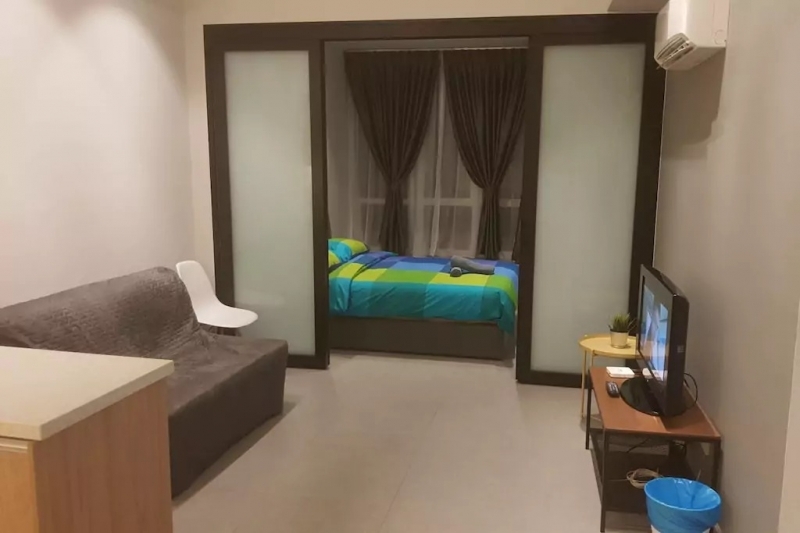 Looking for an Airbnb apartment in Kuala Lumpur? You’ve come to the right place. We know how exhausting it can be to scroll through the seemingly never-ending list of options, so we’ve done half the work for you. 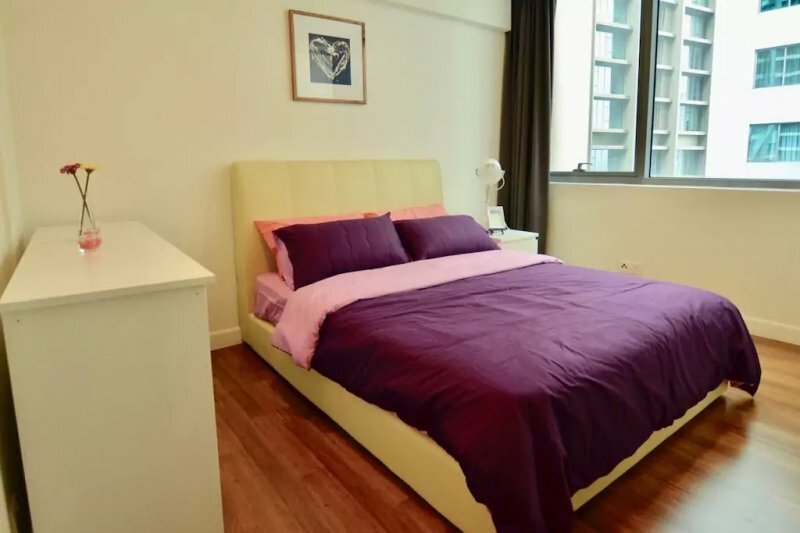 Here are some private apartments in KL that match three criterion: affordable, centrally located, and with good reviews. 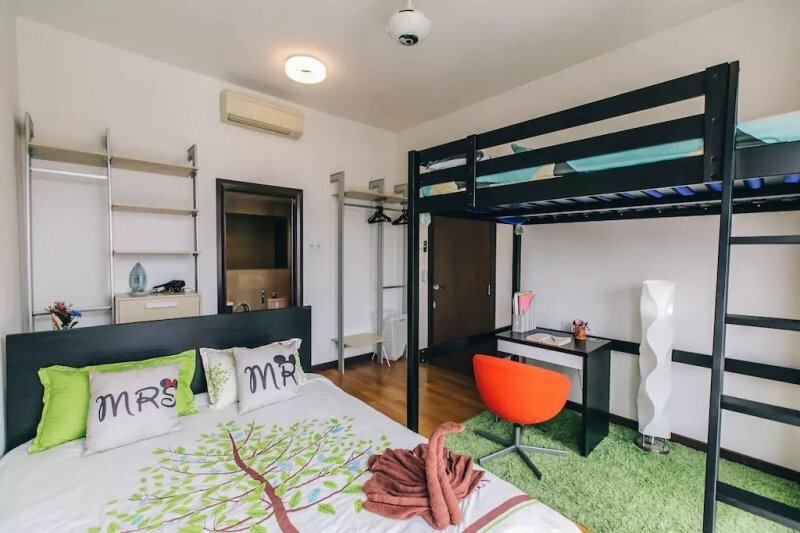 This designer studio is perfect for two. It’s just the place where you get in the mood to cosy up with your loved one after a day in KL’s shopping and entertainment district. Tons of attractions are at your doorstep, such as the Pavillion Shopping Mall, Times Square Shopping Mall and Petronas Twin Towers. On lazy days, lovebirds can opt to spend the day in bed bingeing on Netflix. 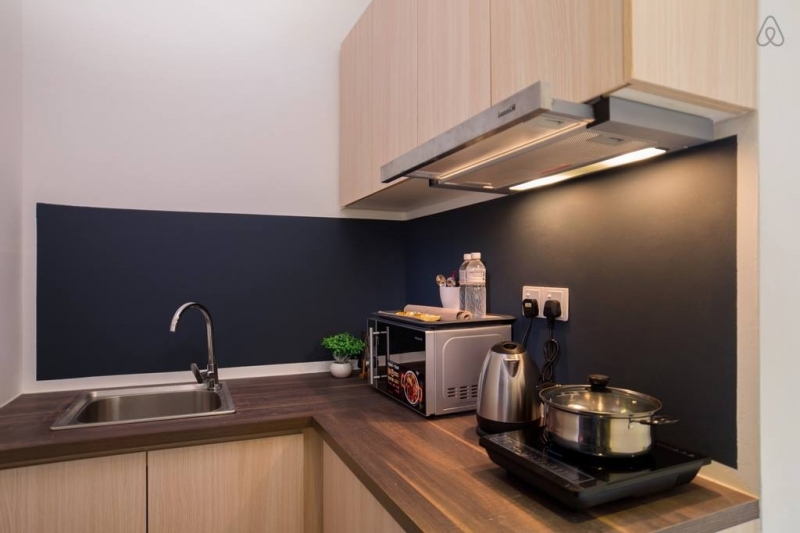 Light cooking can be done in the kitchenette, or one could grab a takeaway meal from the nearby Jalan Alor, which has a collection of roadside eateries. 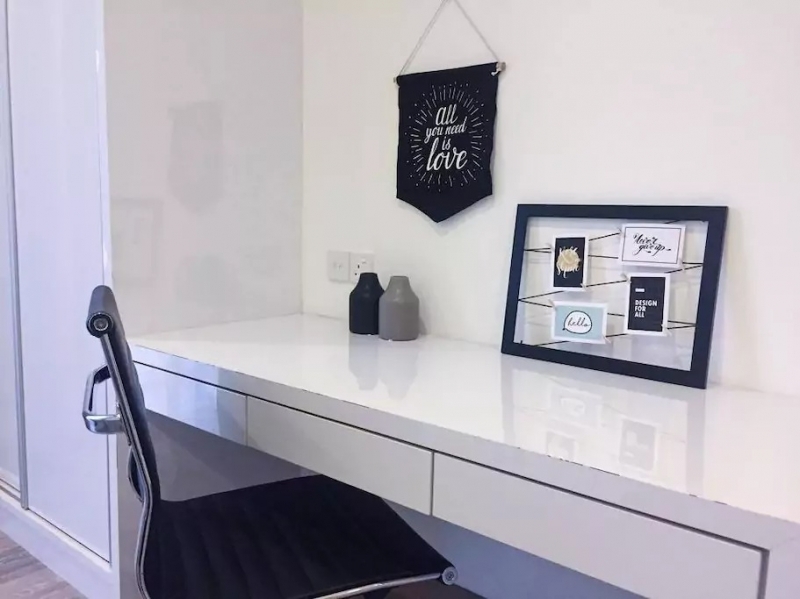 This apartment belongs to an Airbnb superhost, so you can be sure that you’ll be well taken care of here. 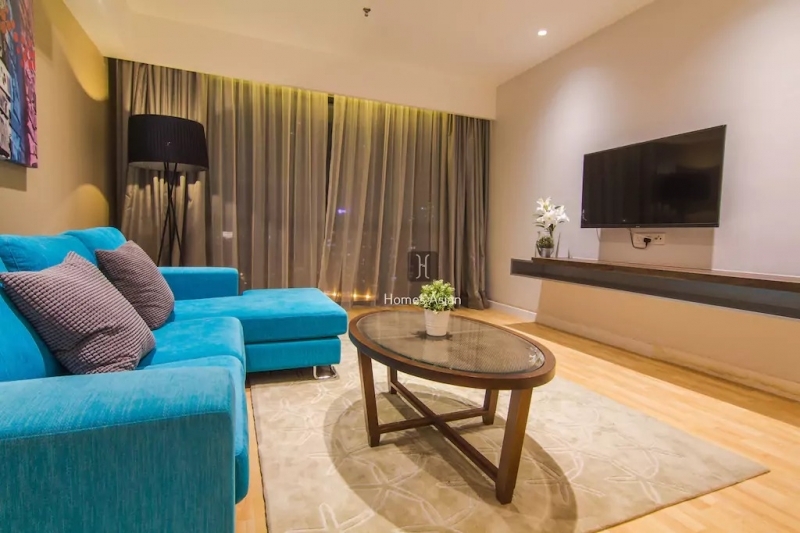 Appealing to families holidaying in KL, this apartment has a view of the iconic Petronas Twin Towers from the bedroom. On top of that, there’s a gorgeous infinity pool on the 37th floor where you can take in the sweeping skyline. 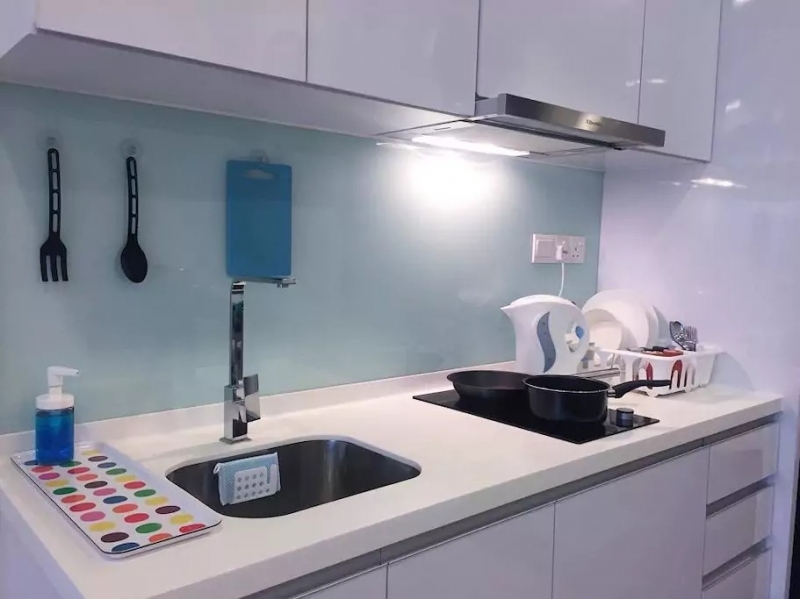 This residence is close to Putra Mall and the nearby Putra Station allows convenient access to the rest of KL. Granted, it’s not right smack in the city centre but KLCC’s just a 10-minute drive away. If you’re travelling with a big group of up to six people, and would like to enjoy splendid views from the comfort of your own apartment, this is definitely the place! 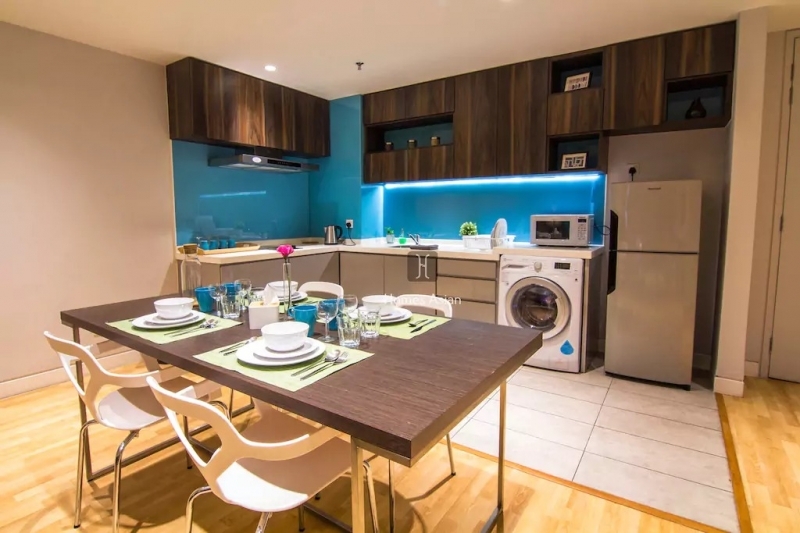 This bright modern apartment is a short walk to KLCC. The space is in tip-top condition, but truly it’s the location that makes it a win. 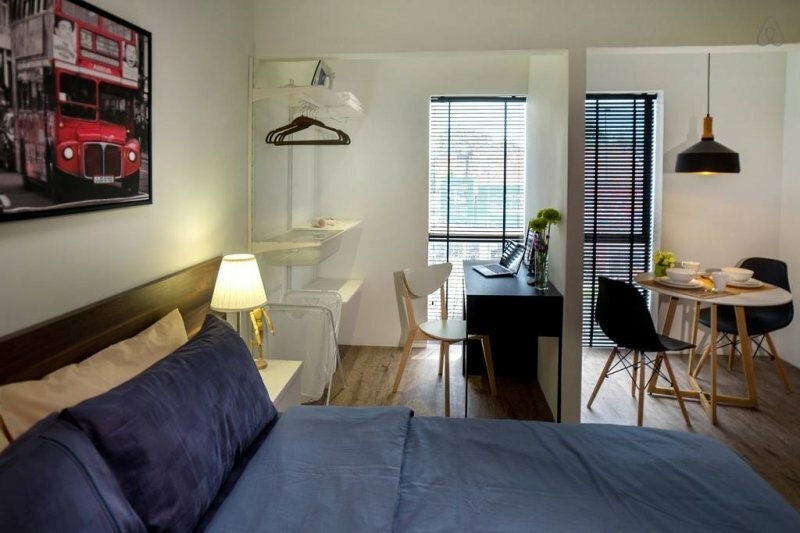 Since the apartment is centrally located, guests can even walk to Bukit Bintang (15 mins away) and at night, they can enjoy the nightlife along Jln P Ramlee. The sofa at the foot of the double bed can be converted into a sofa bed, making the place suitable for three. Amenities that can be taken advantage of within the premises include a rooftop pool and spa, as well as a fully-equipped gym. 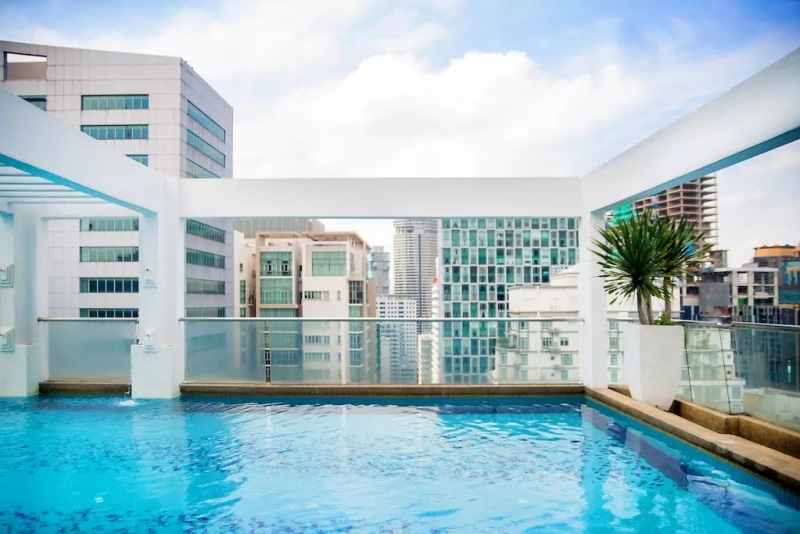 Because infinity pools are all the rage these days, here’s another apartment that has one with a view – of the KL Tower, no less! The studio apartment in hues of beige itself is also a huge appeal, with its aesthetically-pleasing interior. It comes with a dining table for two, a leather sofa, a kitchen equipped with cookware and utensils, as well as a washer and dryer. Basically, it’s a fantastic place for a few days or even weeks of stay. 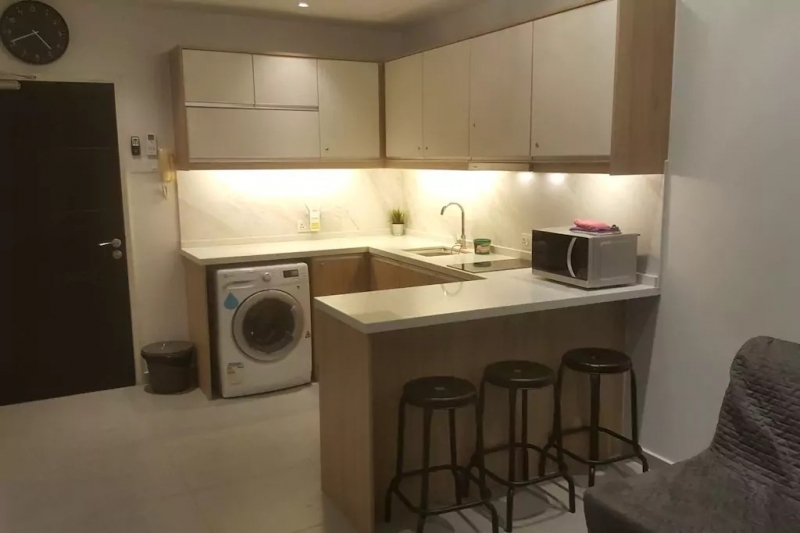 The location of the apartment in Changkat Bukit Bintang means that a wide array of cafes, bars, restaurants, as well as shopping centres and food alleys, can easily be reached. On top of everything, a free pocket WiFi will be provided during your stay. 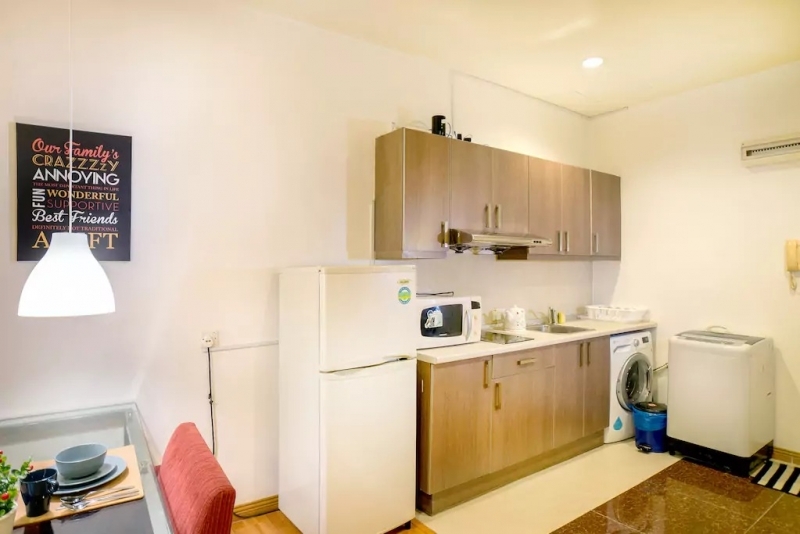 Exuding a “home away from home” vibes, this apartment is also in the heart of KL, near the Bukit Nanas LRT Station. For those averse to walking under the sun, the area is a hotspot for Grab and Uber, so it’s easy to get a cheap ride around town. 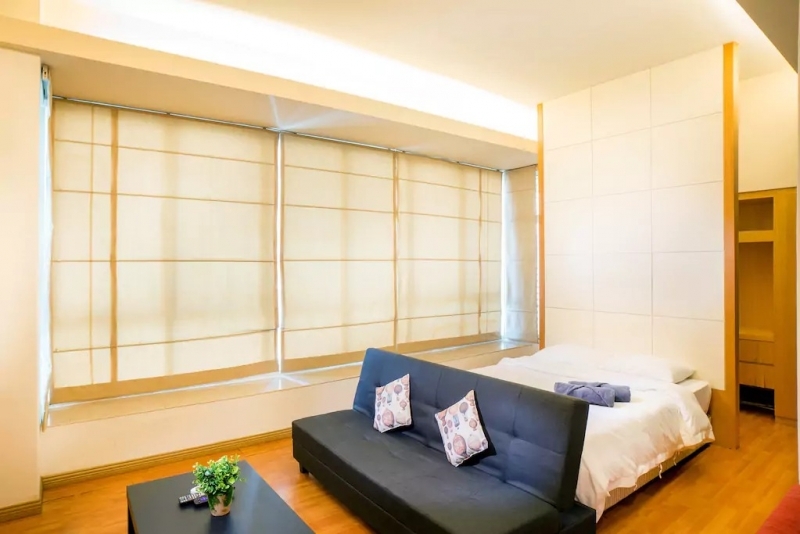 The apartment is located on the higher floors of a condominium, offering splendid views of the city. 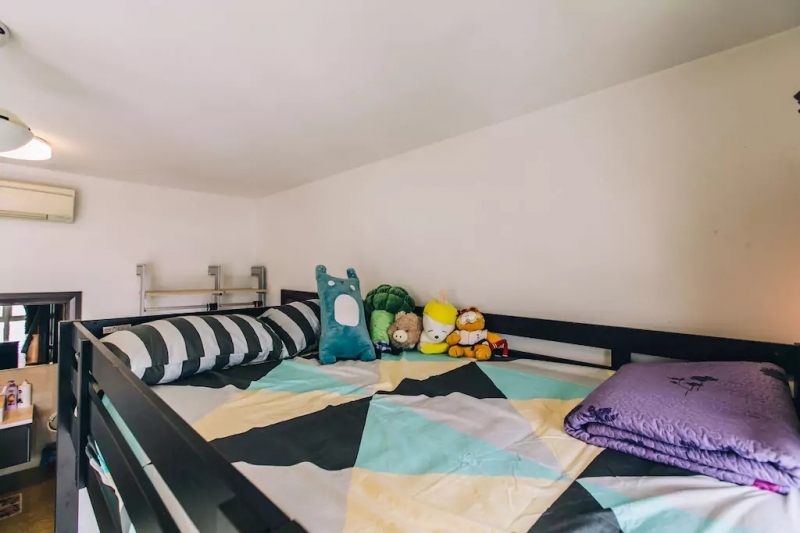 The queen-sized bed and bunk beds can nicely fit a family of four, but sofa beds and floor mattresses can be added to accommodate another four guests. On the 11th floor of the apartment are facilities such as a swimming pool, jacuzzi, gym, and a pool table. On the ground floor, in the lobby area, are convenience stores that might come in handy. 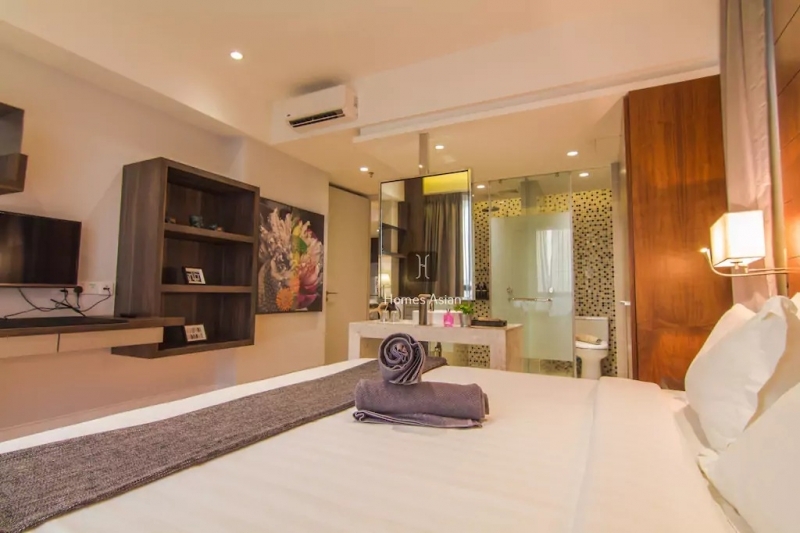 This super deluxe one-bedroom suite offers a stay that’s not unlike one in a hotel… but better! If you think the photos look good, wait till you see it in real life. 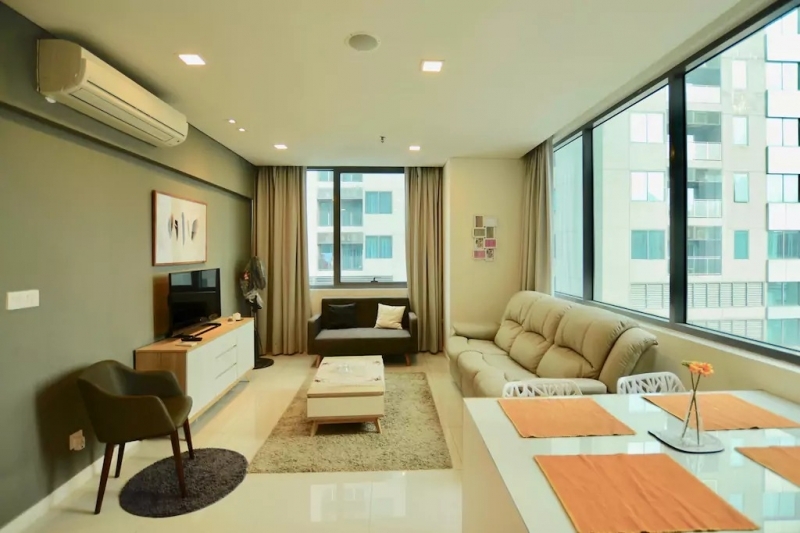 Luxurious, spacious, and with a touch of class, this apartment in Pudu is suitable for a group of up to six. It comes with the added bonus of having a kitchen and washing machine, making this stay even more value-for-money. 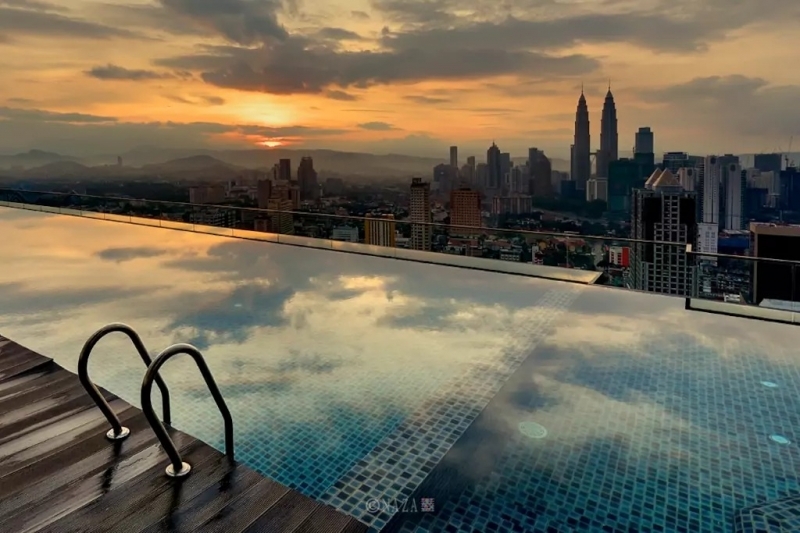 Not missing out in the pool category, there is an infinity pool with views of the Petronas Twin Towers. 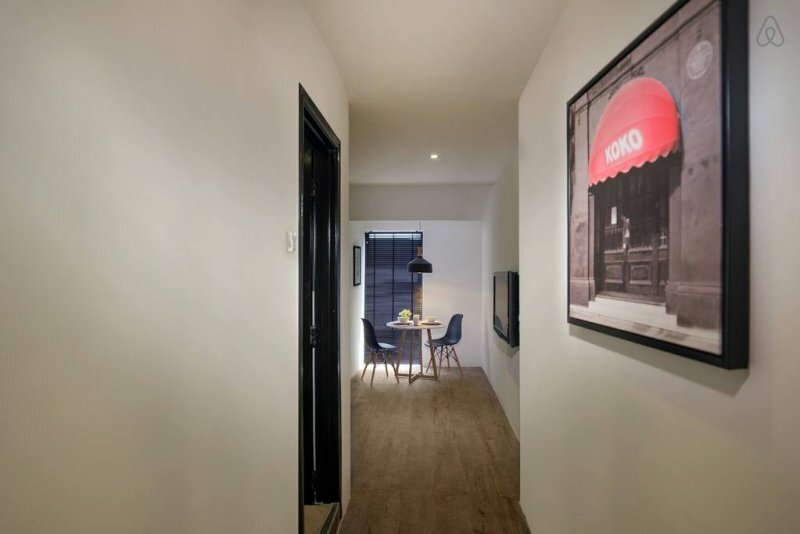 Guests who stay here can experience a local neighbourhood with markets and eateries, but they’re not far from the attractions of Bukit Bintang either. This one’s a steal for an apartment with two bedrooms at such a prime location. 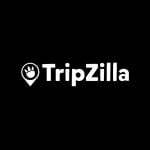 It’s perfect for a family or a pair of couples travelling together who wish to be near KLCC. Plenty of food stalls are steps away to satisfy any hunger pangs, but if you wish to whip up something yourself, you’ll find cookware for light cooking. 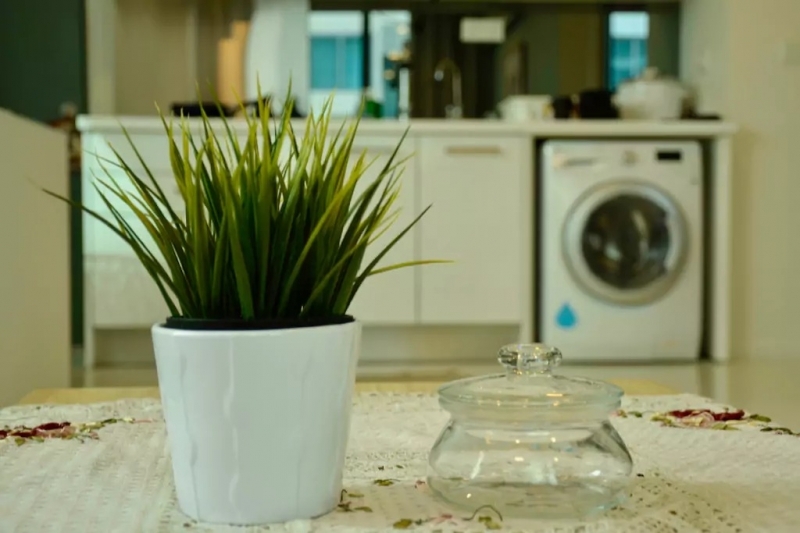 A thoughtful feature of the apartment is the hot and cold water dispenser which saves the need of buying bottled water. The host also provides coffee sachets and instant noodles for free and is amenable to requests such as early check-in or late check-out. 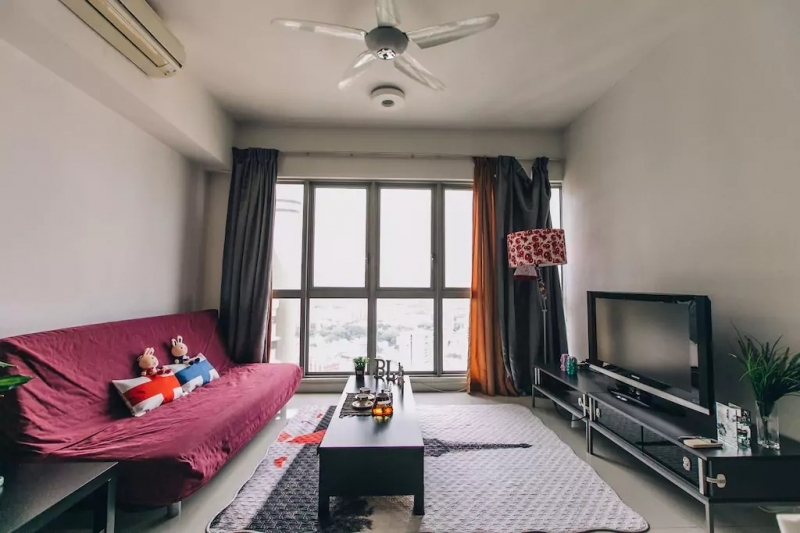 With this list of Airbnb apartments, we hope that you’ve come closer to finding a base for your next visit to Kuala Lumpur. Enjoy your stay!